A credit-card sized computer developed especially school going kids is released for sale in the United Kingdom. 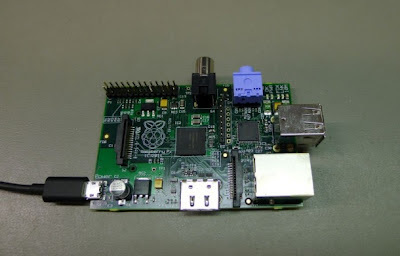 The Raspberry Pi as the computer is named is developed by volunteers mostly from academician and the UK tech industry. Sold without case and keyboard and monitor, the Pi has drawn caught attention of educationalist and and enthusiasts. The supporters argue it would help to create the pool of people qualified with programming skills. "It has been six years in the making; the number of things that had to go right for this to happen is enormous. I couldn't be more pleased," said Eben Upton of the Raspberry Pi Foundation which is based in Cambridge. The device's launch has come at time when the Department for Education in UK is devising changes in computing in schools focusing more upon skills like programming. In the start, the £22 ($35) model of the Pi will be offered for sale. A cheaper £16 ($25) version will be on sale at the later part of the year. The Pi runs on open source operating system Linux, which can be attached to a typical computer monitor along attaching a keyboard, mouse and other peripherals. The Pi also has an ethernet port, to make use of the high-speed internet connectivity. However, there are already similar devices in the market like Pi such as the Beagleboard and the Omnima MiniEMBWiFi. The Raspberry Pi Foundation is aided by a Chinese manufacturer to develop the machine.